That said, the previous installment in this serious, Ghost Story, broke me. It was beautiful and tragic and it had an ending that left me flailing and praying to any god that would listen that Jim Butcher would finish the next book soon. When my copy of Cold Days came in, I practically cheered. Cold Days had everything I hoped it would: intense action, dramatic reveals, increased stakes, and scenes between characters that gave me feeeeeeelings. Cold Days is a game-changer that makes the previous installments (at least, the ones leading up to Changes) look like relaxing weekends. As you might have guessed, I am passionate about faeries and faerie lore, which is why I was particularly excited to realize that the plot of Cold Days would revolve largely around the Winter Court. I absolutely adore Mab. (Did I mention I’m also a big fan of snowscapes? Because I am. Goodness, I do love a good snowscape.) Any readers of this series who have enjoyed our previous encounters with the Queen of Air and Darkness will love Cold Days. Speaking of supernatural heavy-hitters, the various legendary characters who make appearances in Cold Days left me grinning from ear to ear. I’m hoping to see more of them in future books! A few things left me scratching my head, however. First: the pop culture references. One of my favorite things about Jim Butcher is that he lets his nerd flag fly. Many of his readers are nerds themselves, and he knows it. Not only that, but he slips references to all kinds of geekery into his Dresden Files novels. Those nods to pop culture have never failed to make me smile–but they used to be more subtle, woven smoothly into the narrative. In Cold Days, the references were much less subtle and much more frequent. I found them somewhat jarring, to the point that a single reference could pull me out of my “reader” frame of mind. The second problem I had while reading was the dialogue. Is it just me, or are Butcher’s characters dropping the F-bomb much more liberally than they used to? Don’t get me wrong–I have no problem with harsh language, and I love a well-placed, perfectly-timed F-bomb as much as the next person. But the thing about words is that, the more you use them, the less meaningful they become. If you drop the F-bomb exactly once in your novel, for example, it’s going to pack a punch. Even if you drop several, if they’re well-placed, they’ll have an effect on the readers. It could be that I’m just not remembering the previous books very well, but I swear (pun wholly and unabashedly intended), Harry never used to cuss so much–at least not using the really heavy-hitting words. All told, Cold Days does not disappoint. 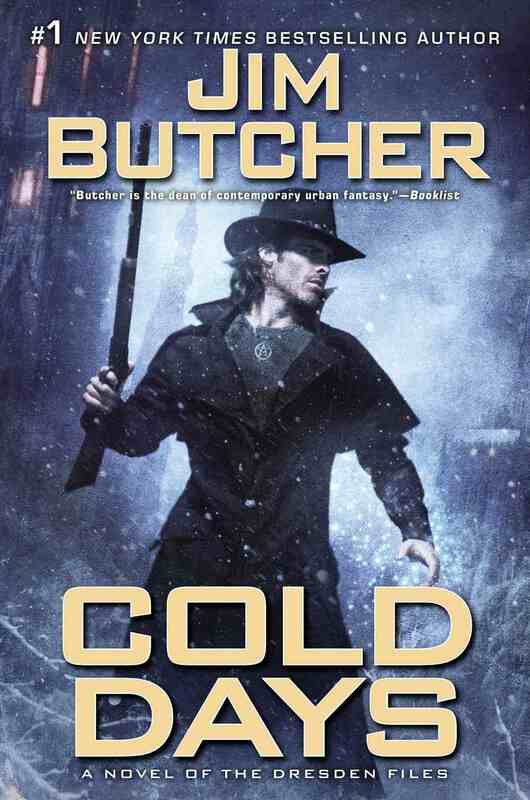 True to form, Jim Butcher ups the ante with this installment, setting the stage for a story arc that will be, in a word, epic.